Kenya recently participated in the Africa zone 5 competition. This tournament was used as qualifiers for the African Basketball Championships for both men and women. Kenya did not qualify. But both Uganda’s men and women’s teams qualified for the African championships. 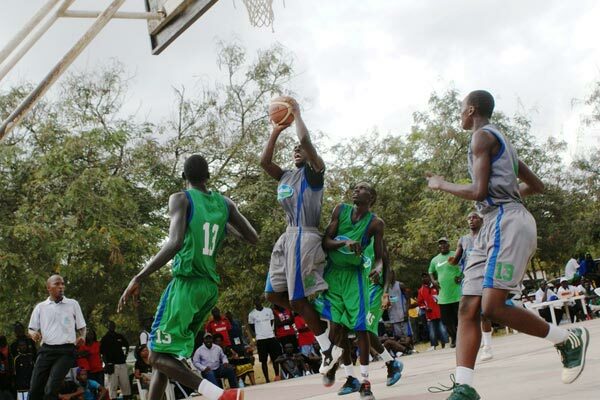 It is a watershed event for Uganda basketball. Their men’s team had not qualified for the continental competition since 1970. 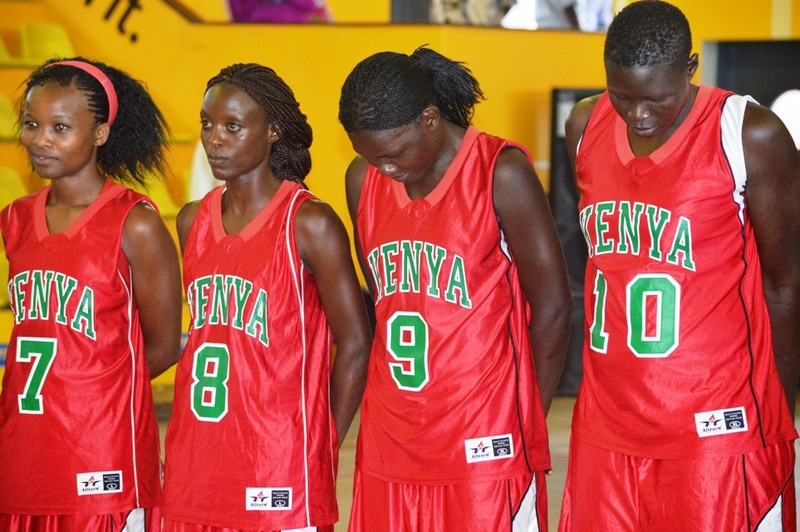 They qualified after they beat Rwanda 69-61 after having beaten Kenya 83-71. 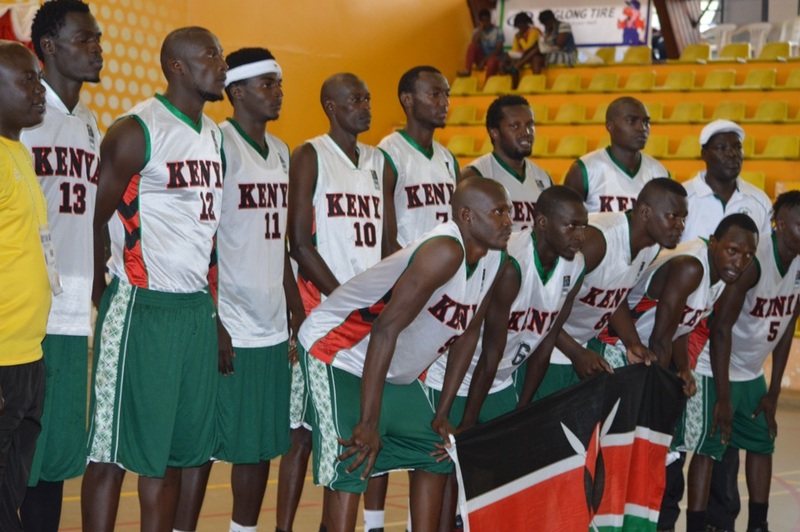 Kenya men also lost to Rwanda 82-77. The Ugandan women’s team had never qualified for any continental competition be it the African championships or the All African games. The Uganda women beat their Kenyan counterparts 64-61 in the deciding match. Congratulations are in order for their monumental achievement. But it was not a fluke. It was the result of forward planning. Uganda had a national teams’ steering committee (NTSC) that was responsible for preparing the team for the Zone V tournament. Both teams were never short of resources. Player welfare and allowances was top priority and all the players had to do was go out and perform. In the past, preparations for team Uganda started about 3 weeks before any tournament. This time Uganda started residential training as far back as June, 3 months before the tourney. They had handsome allowances on a daily basis and were camped at Hotel Africana throughout the two-week tournament. However, the biggest credit for the NTSC was their resolve in flying in four foreign-based Ugandans. It was also their efforts that brought on board Coca-Cola, Club Ambiance, Lin Long and City Tyres as sponsors of the tournament. Here is a rare case where officials get sponsorship money and use it primarily to enhance the welfare of the players. Unlike Kenya which never calls its foreign based players, Uganda called up four foreign based players to bolster their squad: Josh Johnson (Ipswich BBC), John Baligwire (free agent), Kasim Nagwere (Fryshuset Basket), and Samuel Mukooza (Jamtland Basket). John Baligwire who used to play for Southeast Oklahoma State in USA college basketball, was named the most outstanding player of the tournament for Uganda. Uganda coach Mandy Juruni was full of praise for the foreign based players. Uganda was able to call up their foreigners due to the sponsorship they received along with forward planning and incentives. Kenya has always had high calibre players based in foreign league.In fact at present, Kenya has players like Tyler Okari Ongwae who had a superb season in USA college basketball, as well as other USA based players like Robinson Opong, Joel Awich and JP Nyadaro who now plays professional basketball in Canada. There is also players of Kenyan descent like Omondi Amoke and Robert Nyakundi who play in Europe. But in contrast to Uganda, Kenya rarely has the capacity to perform the forward planning needed to bring the players. Nor do they have the funding. And most important, Kenya does not incentivize foreign based players as Uganda has. In fact on several occasions, Kenya players have been subjected to shabby treatment by officials. Speaking of shabby treatment, this is precisely the reason why inspirational captain Silalei Shani-Owuor decided to retire from the national team. Among other things, players are made to travel incredible distances and are rarely paid their allowances in a timely manner. It goes without saying that the presence of Silalei Shani-Owuor with her vast experience would have made a difference. And better still, she is the kind of player that KBF can use to market the sport. That is only if we had thinkers at KBF. Uganda does a much better job of marketing their sport. It comes as no surprise that they had a number of sponsors like City Tyres, Ling Long, Castle Lite and Coca Cola, there was a smooth flow of roles and responsibilities and overall general outlook of the competition. And Uganda is not resting on their laurels. FUBA president Ambrose Tashobya said they would build on this success to promote and market basketball in Uganda. But Tashobya also outlined some of the immediate benefits likely to follow the national teams’ successes. “Our achievements broke the mental barriers off local basketball,” Tashobya explained. “We proved that we can beat Kenya and Rwanda, which many doubted. This success will also build aspiration among young players because if you come from a family where no one has driven a car it might be hard for you to aspire for it. You will rarely hear this kind of forward thinking or planning from Kenyan officials. The victory by the Ugandan teams is being promoted and touted all over the country, in their newspapers and on television. Meanwhile the Kenya women’s basketball team has had numerous successes over the years. But hardly anyone ever notices because the Kenya federation does not seem to have the wherewithal or the knowledge or perhaps even the desire to promote their successes. Indeed the Kenya players are to be commended. The women’s team beat Egypt and Uganda in their opening games. In their last match against Uganda, it was the home crowd that pulled the Ugandans through. And the Ugandans only won by three points. Kenya does not seem to be getting it right at the youth level either. At the recent East Africa school games, Upper Hill, Kenya’s representatives, did not make it beyond the quarter-final. They lost to eventual winners, Lord Baden Powell secondary of Tanzania. What is the world coming to when the Kenya national champions are losing to their Tanzanian counterparts? And in the Africa Zone 5 Under-18 competition, Kenya’s boys team lost to Uganda 86-58 while the girls also lost to Uganda 62-48. Kenya’s losses at youth level are symptomatic of the malaise that plagues Kenya basketball. In years past, Kenya thoroughly dominated their neighbours like Rwanda and Uganda and definately Tanzania. About 10 years ago, Rwanda started making strides and soon their youth teams were blasting Kenya by as much as 50 points. Now Tanzania and Uganda youth teams are beating Kenya comprehensively. This will soon translate to the senior level. Kenya basketball fans ought to be alarmed ! If you are a fan of Kenya basketball, you would be right to be concerned at the direction Kenya basketball is heading. Can Kenyan basketball officials learn from their Ugandan counterparts? Speaking of learning from Uganda, in 2003, Kenyan rugby fans were dismayed when the Kenya sevens team lost twice to Uganda at home.Uganda also went ahead and won the Africa 15 aside rugby championship before Kenya ever did. And their women’s team would routinely beat their Kenyan counterparts. Uganda was seen as a fast rising side in rugby while Kenya appeared to be sinking. The Kenya rugby fraternity demanded changes. As luck would have it, a new KRFU chairman was elected. Kenya rugby has improved significantly since the debacle of 2003. They reached the rugby sevens world championships semi-finals twice. And Uganda has not beaten Kenya at sevens since 2003. On top of that, Kenya won the African fifteen a side championships in 2013 and beat Uganda 52-11 on the way. Can Kenya basketball officials learn from their rugby counterparts? Can they emulate the good organization of Uganda basketball officials? It is unlikely. Kenyan basketball officials have never shown the kind of commitment to success that the Ugandan officials have shown. They have never shown this level of organization, ability to plan ahead, market the sport, promote the sport etc. In fact the only thing we know that Kenya basketball officials can do is organize a league. And Kenya has a sports minister who does not show much interest in sports, rarely shows initiative and probably does not even know what is going on in the Kenya basketball scene. However just as the rugby fraternity effected much needed changes in the way rugby was being run, the Kenya basketball fraternity should also demand a level of competence and organization from the people charged with running the sport. This entry was posted in Kenya Basketball News and commentary, Kenya Sports news and commentary and tagged Kenya at Zone V basketball, Kenya basketball federation, Kenya Basketball team, Kenya Men's basketball, kenya womens basketball, silalei-shani-Owuor. Bookmark the permalink. Great article. I absolutely agree that the kenya basketball federaation requires an overhaul. We need fresh ideas which will come with new management. The first thing on the management’s agenda should be take a cue from rugby and promote the sport. Rugby 7s players are household names while no one outside the basketball fraternity knows our basketball heroes and heroines. Its such a shame. The Zuku university league is trying but we also need to build the hype at club level so that the public become aware of basketball culture.